We have been involved in the furniture industry since 1970 gaining retail and wholesale experience before commencing manufacturing Bedroom furniture in 1992. 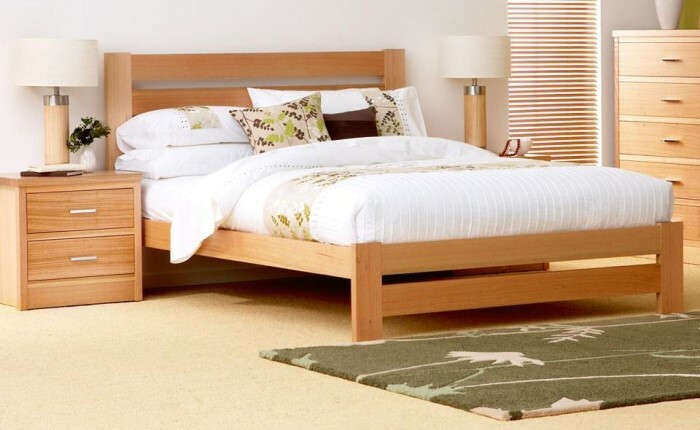 Our products are crafted from Select grade Vic Ash and or NZ Pine, Single to King size & 4 Poster options, solid timber side rails, pine slats supported by our unique centre support and levelling system is supplied with all Double, Queen and King size beds, a range of bedside tables, tallboys and dressing tables with a fixed to base or wall hanging mirror. We are responsible for the invention of Maxilock™ the Ultimate Bed Fastening System the most popular bed bracket on the market today. It is with pride that we acknowledge our industry's acceptance of the"Maxilock". Our products are available through reputable retailers, the most prominent with stores around Australia is Forty Winks. Thank you for considering products "Made in Australia"
only through selected furniture retailers. information on our stockists, please contact us.